In July of 1971, the then Mayor of Kurashiki, Mr. Shigeki Oyama, went to Toronto Canada to attend an international conference on regional administration. On the same trip, Mayor Oyama also paid a visit to the Chicago Office of the International Tourist Promotion Association and expressed Kurashiki's desire to formally establish friendly ties between Kurashiki and either a Canadian or American city. In March of 1972, the City of Kansas City, Missouri contacted Kurashiki about the World Trade Week the city was planning to hold in May of the same year. The theme of the World Trade Week was "Japan" and the Kansas City Government was actively looking for Japanese participants for this event and was very interested in establishing friendly ties with Kurashiki. On April 17, 1972, the Kurashiki City Council, through the cooperation and recommendation of the International Goodwill Cities Association and the Japanese Trade Promotion Association, officially began deliberations on the Kansas City proposal. The City Council voted to formally consider Kansas City's proposal and approved plans to send an official delegation including the Mayor, the President of the CIty Council and representatives from the Kurashiki Chamber to Kansas City to begin talks. 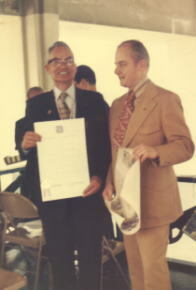 In May of 1972, Kurashiki's official delegation arrived in Kansas City, and after some discussion, an official signing ceremony was held and a formal sister city relationship was established. 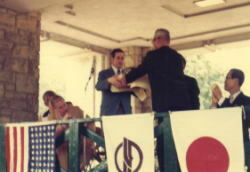 In June of 1972, the Kurashiki delegation presented their report to the Kurashikii City Council and the council formally approved the agreement signed by both mayors in May. 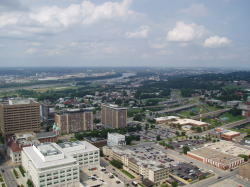 Kansas City, located in the western part of the State of Missouri, near the Kansas Missouri border, has a population of around 450,000 people and a total area of 809 km2. It is the 13th largest city in land area and 36th largest in population in the United States. 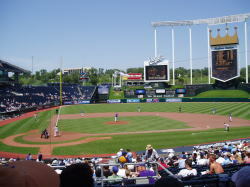 The Greater Kansas City has a population of around 1.8 million people and includes 176 cities and 15 counties. 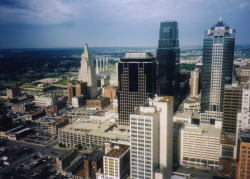 Kansas City is the largest city of the Greater Kansas City Metropolitan Area. The city is nicknamed the "Heart of America" because it is roughly located in the geographical center of the United States. 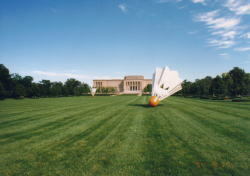 Due to its location, Kansas City experiences the typical weather patterns of the North American Continent. Summers can be quite hot and winters can get fairly cold. The differences in daytime and nighttime temperatures can also vary greatly. 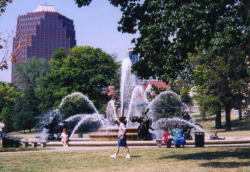 Kansas City's origin dates back to the 1820's. It started as a small trading post that over time grew into one of the major cities of the United States. 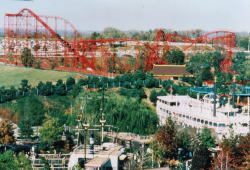 It's location made it a suitable transportation center for the railroad industry as it began its expansion westward in the years after the American Civil War. 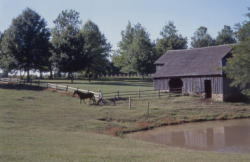 It also soon developed into one of the world's major cattle markets. 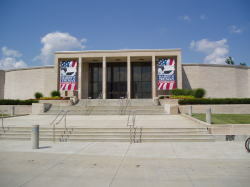 Present day, Kansas City is known for its automobile assembly plants, farm machinery plants, electrical appliance manufacturing plants and agricuture and beef industries. It is the 2nd largest producer of wheat flour and it has the largest inland foreign trade zone in the United States. It is definitely one of the main centers of economic activity in the Western United States. Kansas is also know as the "Fountain City". 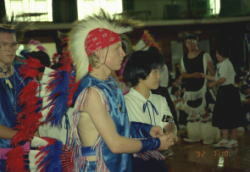 Over the years, numerous educational, cultural and sports related exchanges have taken place between Kurashiki and Kansas City. 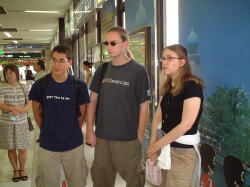 Since 1974, both cities have annually hosted student groups from each other during the summer months. For more information about these groups, please click on the following Japanese only links ( Kurashiki Youth Goodwill Mission， Kansas City Student Goodwill Ambassadors）. In addition to the student exchanges, for a 6 year period beginning in 1977, Kurashiki sent Japanese Teachers of English (JTEs) to Kansas City for research and study during the summer months. Beginning in 1987, Kurashiki began to hire young adults from Kansas City to work as Assistant English Teachers (AETs) in Kurashiki schools. The Kansas City Royals even visited Kurashiki and played in a goodwill exhibition game at the Kurashiki Baseball Stadium against a combined team of Yomiuri Giants and Hanshin Tiger players. 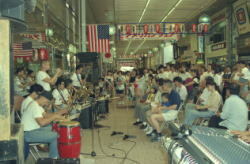 ▲In July 1992, an official delegation from Kansas City visited Kurashiki to participate in various official ceremonies, an American Fair (introducing products from the Kansas City region) , a photo exhibit and exchanges with local junior high school students to celebrate the 20th Anniversary of the Kurashiki-Kansas City Sister City Relationship. 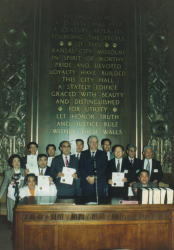 ▲April 1992, an official delegation from Kurashiki visits Kansas City to take part in various events celebrating the 20th Anniversary of the Kurashiki-Kansas City Sister City Relationship.